July 4th, Independence day is more often associated with celebration at picnics, barbeques and fireworks. My recent trip through the Civil War Battlefield of Chickamauga appealed to my love of history. 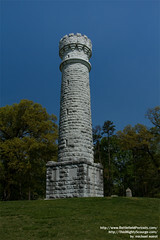 This memorial battlefield and national park formed after the enthusiasm for the centennial of the American Revolution. Freedom, Americans naturally associate with Independence Day, but rarely do we stop and in the same breath think of the losses. The twist of the stories that come to mind or personal memories of Independence day activities certainly show how freely we can enjoy the bounties of free speech, religion, assembly and yes, bear arms. I hope you’ll take a moment to review the bill of rights or the later amendments to the US constitution. Reading the transcript reminded me of the framer’s experience. The order imposed by a sovereign leader who never stepped onto American soil was a far cry from the ideals inspired by enlightened philosophers. The authors of our constitution felt it was time to be true to the values they held and took from the old what was essential and left some things open ended, flexible. How lucky we are to enjoy the freedoms we do, to live and celebrate as we do. The range of commemorative holiday activities embody the spirit of the forward thinking framers and I recall with fondness my hometown parade that culminated in the gathering at the local park. The framers chose to keep some traditional values, the ones they felt, when rooted in American soul would flourish and flower into a new reality. Their very careful articulation of freedoms associated with liberty, justice and equality were a departure and yet a dedicated investment in a future they hoped would long endure. On a personal note, July 4th is the last holiday that I shared with my father as he died very suddenly a few days later. My own memories connect personal and national commemorations. This week, I don’t merely want to wish everyone a happy 4th, but hope more take notice of freedoms too easily taken for granted. Independence day as a memorial day, commemorates the spirit of those who fought with words and others who lost their lives to secure ideals and live with freely. These ideals pale if we don’t know how to act on them, or as I have written earlier. We must do more than aspire. For some ideas, read Value Honor and Reward Everyone. My dad loved stores and in his memory I hope some of you will share your memories and memorials of the experience of freedom. …the BIF project we are working on with Babson in our Entrepreneur Experience Lab. We’re doing a deep dive into the experience of intrapreneurs and keep observing that they seem to assess risk in terms of personal affordable loss measured by reputational capital. I thought about this idea of reputation, or personal investments in keeping up appearances and realized that in new situations and settings where I need be on top of my game, I’m often initially uncomfortable about engaging people. Especially when my perceptions of the crowd or group intimidate me, I prefer a little distance and project a quiet intensity. In the company of friends and family, where I am open and comfortable, I will laugh quite heartily, encourage stories and take risks to be playful or funny though it doesn’t come very naturally. When I’m feeling confident in new situations , the courage I muster allows me to openly approach strangers. Surprised, I suddenly find it easier to make new friends. The trick to both my playfulness and open engagement? Suspending critical judgment, reminding myself how much I enjoy chewing on surprising ideas and then remembering how I feel in those moments gets me past my natural comfort zone. My creativity quickly comes to the top and allows me to share and learn. I learn to make this style work, while continuing to notice what I’ve seen work for others and then try it on. The result I never say or do the same thing twice, my style keeps evolving and others learn I always something new when they see me. Using these principles makes it easy. Choice is part of our daily process, but most of the choosing we do is not very conscious. From the moment you wake up you begin to make choices but most of them are not very memorable, are they? Naturally, we associate actions we value with benefits. We study for better grades, work to get paid, we drive to save time, we eat to satisfy our hunger etc. How actively did you value the ability to wake up? Or the ability to feel, hear, see, smell, taste, move, or speak? Actions that require no conscious effort are often the things we value least. The expression no pain, no gain sound familiar? Trying generally means we put more into the process, tapping abilities beyond those that kick in when the brain’s autopilot signals them. Cheering on all of our senses’ contributions is similar to cheering on another team member’s effort, honoring the additional participation. Honor is a conscious act. It helps us repeat those active choices by protecting both what we value and the memory of the experience. Very small children don’t think before choosing their actions, they just do. In time, the reactions of others begin to redirect their attention and the consciousness leads them to change. Increasingly, other factors, additional information such as the situation, the setting, the behavior or responses of others splinter the choices. The first positive experience buries a set of conditions that often stop us from repeating. Our actions no longer being cheered or honored. The collective opportunities to openly share, experiment and indulge the full use of our senses become rare. It’s why we can do things in kindergarten and then stop. Denying these urges shut down the natural balance in our system, we express fewer of our feelings and controlling those urges raises our stress levels. The medical data demonstrates how much stress is killing us. Its time to put an end to segregating our emotions and actions, and restrict creative releases to distinct settings and environments. Doing things that bring smiles or makes it possible for us to be in the company of other people proves very motivating. Since habits are hard to break I’m committing to a new set of critical principles in my daily routine. Here and Now, I plan to be smarter not only in how I work; but also how I interact with others, in an effort to manage precious time and energy. So here are the principles. 1. I will value people’s time. 2. I will honor people’s attention. 3. I will reward positive forward progress. 4. I will assert more sensory interactions using Laughter, playfulness and drawing in my daily routine. What are your plans? principles or reactions? would love to learn what you are thinking. If you missed the tips I shared earlier, I urge you to check out Making the Impossible Possible. Recently I returned from the 2012 Annual Creative Problem Solving Institute, aka CPSI, where I presented a short version of my framestretching workshop, and in exchange gained valuable insights and tips. For 58 years, the Creative Education Foundation offers in one form or another an annual conference where people from all over the world gather with the express intention of sharing. From new ideas, to furthering individuals thinking using experiential learning, CPSI remains focused on celebrating the wonder of our natural abilities. The open-minded learning community reminded me that more is possible than impossible. 1. LAUGH. Invoke humor regularly. Laughter is wonderfully freeing and an expressive release of tension and stress. it is a great activity for all the senses if you put your mind to it. Jon Pearson offered up 100 tips and shared these teachings. 3. DRAW. Practice first with circles and squares. The physical focus, movement and feel when drawing objects everyone recognizes boosts your success and confidence in an ability that few of us use. 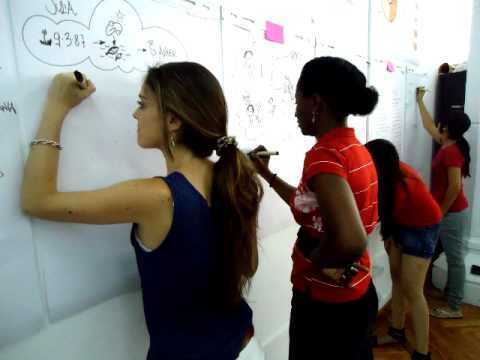 Yes drawing, as Elizabeth Pastor of Humantific explained activates completely different parts of the brain, clarifies our thinking and effectively communicates universally critical concerns, issues, ideas. She demonstrated visual sense-making and if you aren’t sketching in your note taking and or minutes you are missing opportunities. Do you want to help people think about people, relax and be balanced? OK, I put in that last element because I believe that’s what happens. OK I’m guilty because here I am doing the typing and not the sketching as I blog my renewed commitment to the process. No, that’s not all I learned, but these are the things that make my other learning possible. If I have inspired you to try, please share what you plan to try, and maybe we can hold each other accountable. If not, then I encourage you to read Value, honor and reward everyone. And by all means I also encourage you to use Happy crayons.